It’s always amazing to discover the fascinating nooks and crannies of the city that has been your home for 20 years (or, for that matter, any city). On the corner of Long Street and Wale Street, about two storeys up, an elephant gazes down at the busy intersection. I must’ve driven through that intersection and passed it more than 50 times in the past 20 years and had never noticed him before. And I, being lucky enough to never have to be doing the driving, look around. A great deal. That’s what going for a guided walking tour will do. It’ll open your eyes as the city opens up and shows you things that you never knew were there. Wondrous things. 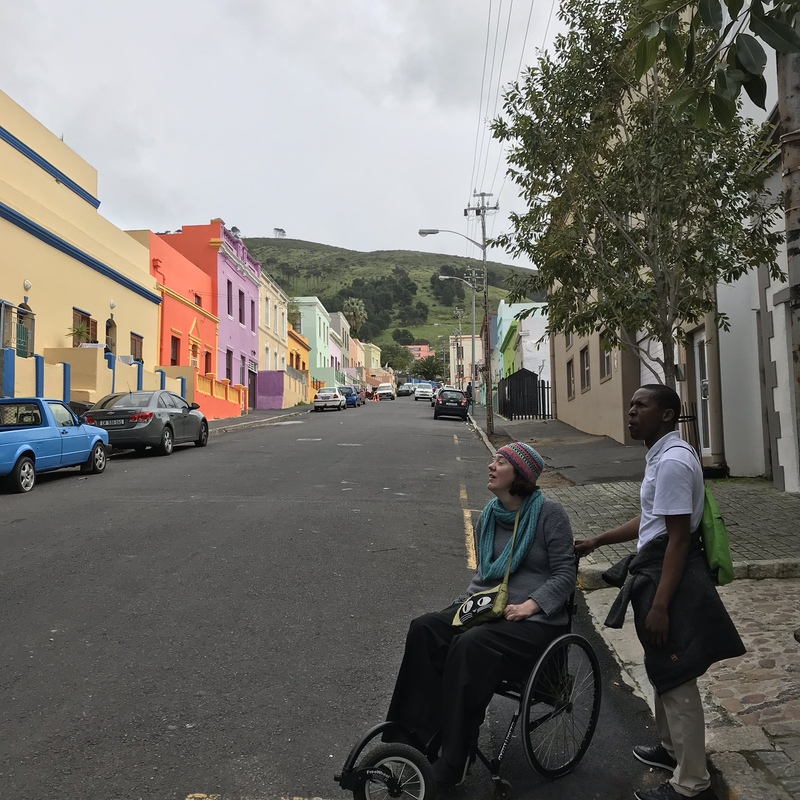 When Thandikhaya, from Walk in Africa, approached me at the World Travel Market earlier this year and asked if I’d be interested in doing a walk or two with them to see if they were accessible for people in wheelchairs, I was more than willing to be the guinea pig. I love that they want to increase accessibility! We met on Greenmarket Square outside the old Town House, a beautiful heritage building that is looking her age. Apparently nobody is quite sure what is going on there, it’s been boarded up for months. Thandikhaya is extremely knowledgeable about Cape Town’s history, which he regaled us with as we ambled up toward the Bo-Kaap. Bo-Kaap is one of those areas in Cape Town that just exudes energy. Whispers from hundreds of years ago disappear around corners while, the stories of generations flit amongst the kids playing on the streets, all watched by the colourful houses for which the area has become famous. Stopping at the Rose Café, apparently almost 150 years old and currently run by the third generation of the family, we bought koesisters and samoosas. These are the koesisters to beat all koesisters: juicy and moreish and the perfect sustenance for pushing me up and down the hills of Bo-Kaap. It’s a casual kind of tour which is what makes it lovely. Thandikhaya regles more of Cape Town’s history, from the slaves of hundreds of years ago to present day, and everything in-between. Added to the stories, his own experiences and family history, which are possibly the most interesting parts. I love hearing people’s stories. It holds such value. Also about how our lives differ and intersect. We stopped outside the Auwal Masjid, the oldest mosque in South Africa. It sits gently on Dorp Street watching as the hipsters invade around its feet. Built in 1794, it’s painted a beautiful thyme-green colour and its old walls exude a feeling of peaceful serenity, despite being about five metres from frenetic Buitengracht Street. I’d never stopped to take it all in before. There’s street art in Bo-Kaap too. Plenty of it. I could’ve ambled around all day, but we needed to move on, making our way past St George’s while we heard the stories of it being the centre of so much activism during the dark apartheid days, then the beautiful new arch into the Company’s Garden, complete with a jovial brass band enticing passers-by (one fabulous man especially) to march rhythmically along the path, to Church Square. Here, the Groote Kerk looms and the Slave Lodge looks on. On the square, which served as a slave market, granite blocks on which the names of the slaves (who, for so long in South African history remained nameless) are engraved. Jan Hofmeyer’s statue gazes solemnly toward the church, as if oblivious to the slaves. It’s busy, but there’s an underlying sense of the spirits, whispers and cries of those hundreds of imprisoned slaves. Down the side street, stopping to check out the relief friezes – South Africa’s history in concrete on the side of the Old Mutual building, you just need to look up, and on into the old Post Office, now bustling with stalls and people, with its huge murals. More history in art. Again, look up! A good motto for life, really! Our tour wrapped up on the Grand Parade, admiring the new Mandela statue on the balcony of the City Hall and learnt another new thing as pigeons flapped about above our heads and scrabbled about our feet, squabbling over dropped slap chips. People were hanged on the Castle wall in days gone by, watched by a crowd on the Grand Parade. Bloodthirsty lot they were, those people of old. And there we parted ways with Thandikhaya. What a fabulous way to spend a Saturday morning, whether you’re a local or tourist. The walk lasts about two hours and is fairly hilly. 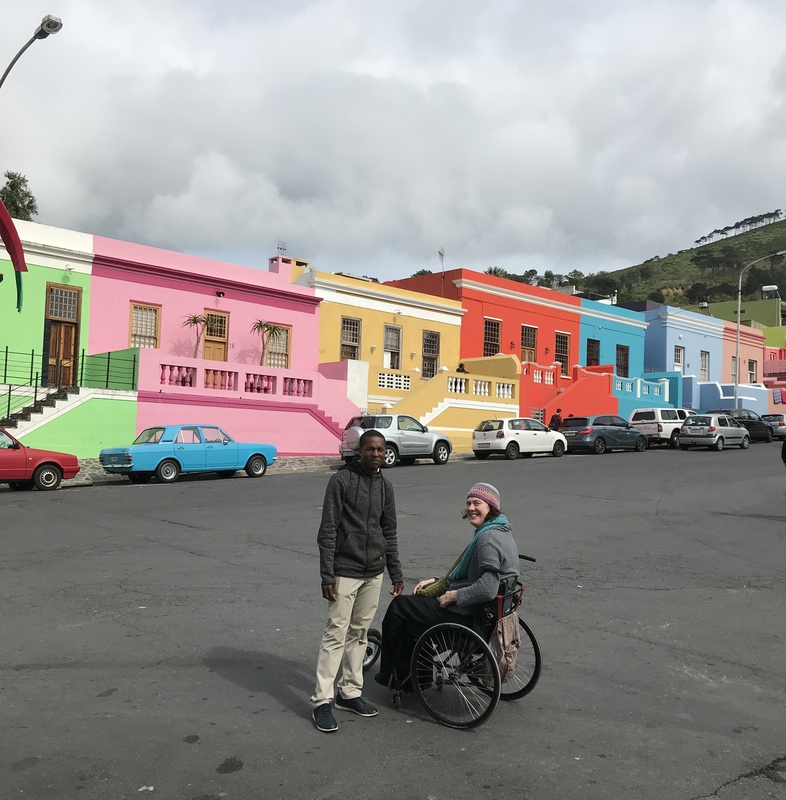 Starting at Greenmarket, which is cobbled but has smoother pavement around its perimeter, Thandikhaya took us on the most gently-sloped way possible, up from town into Bo-Kaap, and helped with pushing. Once in the Bo-Kaap, it’s steeper and some of it is cobbled. My Freewheel coped (it’d be very hard without one, or an equivalent), but it required GM and Thandikhaya taking turns (and getting good exercise, they both deserved a medal by the end). Basically, it’s completely doable if you have a sense of adventure. If you don’t, it could easily be adapted to merely the flatter sections. There’s plenty to see and hundreds of stories in all the areas visited. Thandikhaya was superb, and so helpful! I’m a Philistine when it comes to poetry. I just don’t get it. Give me prose any day and I’ll gobble it up like a Labrador eating her supper. This analogy is from daily experience with Tinks, whose glee at both breakfast time and supper time, every. single. day, is a delight to watch. I stray. While I am a poetical Philistine, my housemate, GM, is not. In fact, she’s so much of a not-poetical-Philistine that she not only loves reading poems, but writes beautiful poetry too (even with my lack of poetical experience, I can see this). 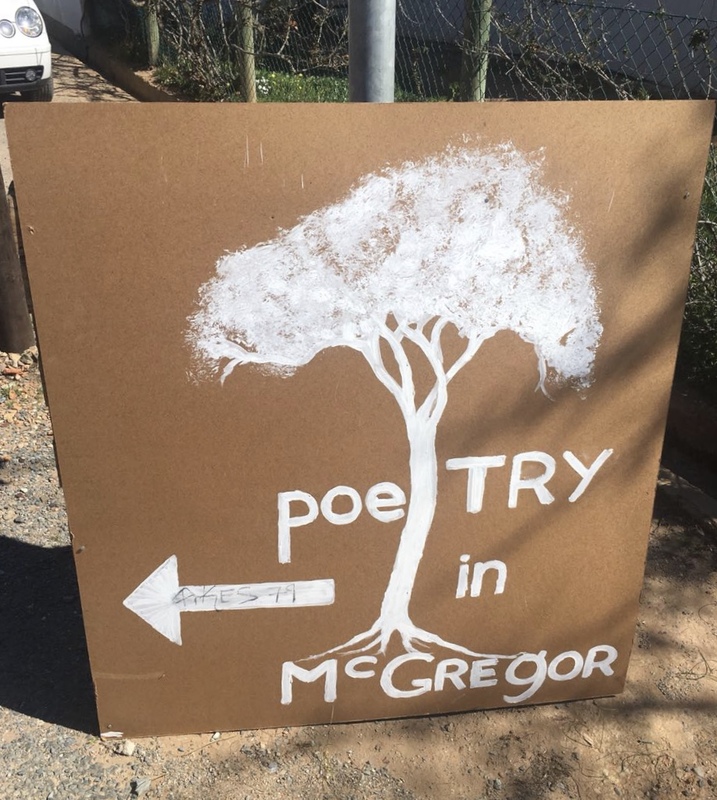 It is her outstanding skill in the field that resulted in us finding ourselves, along with GM’s sister, in lovely McGregor again, for the Poetry Festival, she as a finalist in the competition. See? I wasn’t over-exaggerating (or being biased) about her poetical prowess. We’ve visited McGregor before, and loved it. Last time we stayed during the week, which meant it was perfectly like I like my small towns: quiet, with only a couple of tourists sprinkled among an eclectic array of locals. This time, the village was buzzing: poets, and poetry lovers and literary types. It was pretty damn lovely too. We stayed in Kerk Street, a block away from the beautiful Kerk, and within perfect walking distance of everything, in a little cottage called Lerato (run by Destination McGregor‘s Fiona, who is great). It’s lovely and airy and has a stoep at the front on which you can sit and watch the world go by. I think, every house on earth should have a stoep on which to watch the world go by. After settling in, we took a little amble to see where the world was going by to. As the sun set over the hills it turned the sky perfectly pink, making a fairytale silhouette of the church. We joined Fiona and Tom – who we’d met on our previous trip at the wonderful ‘Sunday Supper at The Sandbag House’ that Fiona cooks and serves at home on Sunday evenings – for a glass of wine in the courtyard of Grape De-Vine which was, as always … divine. With rumbling tummies, we headed back up the main drag, and stopped in at 51, which smelt mouth-wateringly good. A new kid on the block, with a simple menu-on-a-board, we shared chilli con carne and coq au vin as the restaurant dogs settled at our feet. The food came in big dishes, perfect for sharing, with basmati rice and homemade pickles. Really, really good. So good, in fact, that we were back the next morning, for brunch. But back to the star of the show: the poetry. It’s always lovely to be in a space that’s filled with people with a passion for something, in this case, poetry. The air crackles and conversations float on the breeze (or, in the case of McGregor that Saturday, the howling wind that was to bring rain and snow the next day) and everybody’s smiley. The finals of the poetry competition were held early on Saturday morning in the library at Temenos, which was filled to the gills with people, its walls lined with books. What a lovely room. I could easily live there. And what beautiful poems in both the youth section and adult. GM’s reading was perfect and the audience loved it. Even my poetry Philistine heart loved it. Her poetry is accessible, even to people like me. And then to brunch – Egg-in-a-Hole! – and coffee and poetry discussions and all the things that make a sunny winter Saturday lovely. McGregor really is a treat. Lerato is beautifully spacious and the ‘Cloud Room’ has plenty of space to move and transfer onto the bed (which is quite low). The en-suite bathroom is not accessible unless you can manage to walk a few steps. The other bathroom is bigger, but not specifically accessible either (no grab bars etc.) The front entrance is fine, if you can manage to cross a leiwater furrow (we did quite easily) and go up a little step. The back door opens onto a flight of stairs, but you can sit at the top, like a Queen surveying her lands, and enjoy the beautiful view. Fiona is very obliging and has numerous houses on her books, so contact her with your needs. McGregor itself is fabulously accessible with mostly flat, or slightly sloped, roads. There’s more on McGregor’s accessibility in McGregor Meanderings and Monday in McGregor. 51, has no steps into it and hosts, Gerard and Phillip are wonderful, as are their staff and their hounds. It’s usually only open in the day. I’d go back just for the Egg-in-a-Hole. Why is the hole so delicious? On one of those ridiculously perfect sunny-but-cool, Cape Town winter Saturdays with the sky so blue and so clear, we headed out to Franschhoek to see the new exhibition at the La Motte museum and be treated to lunch. And what a treat it was, as always. We were welcomed by Toby Megaw‘s gorgeous Wine Bearer and, newest incumbent, mother and child. La Motte, for me, is the poster child of wine farms. It is perfectly kept, with rows of (at present, gently snoring) vines surrounded by beautifully manicured gardens watched over by stately old trees whispering to each other. Gorgeous sculptures grace the gardens, then there’s the museum, which, thanks to the art patronage of the Ruperts, always offers visitors the extraordinary. The museum houses not only an eye-wateringly lovely collection of Pierneef’s. In addition, it is currently showing ‘Ink on Paper’, a wonderful and educational exhibition on printing. It includes a number of works by Rembrandt van Rijn and numerous fantastic South African artists (think Skotnes, both father and daughter, Muafangelo, Ntshalintshali and Battiss, to name a few) illustrating the different forms of printmaking. It’s gorgeous. Curator, Eliz-Marie guided us through the various types of printmaking including intaglio, with 20 van Rijn etchings, relief and planography. Screens in the centre show videos detailing how the methods are practiced. These are currently international videos, but South African versions are being filmed at local studios as we speak and should be showing by next month. 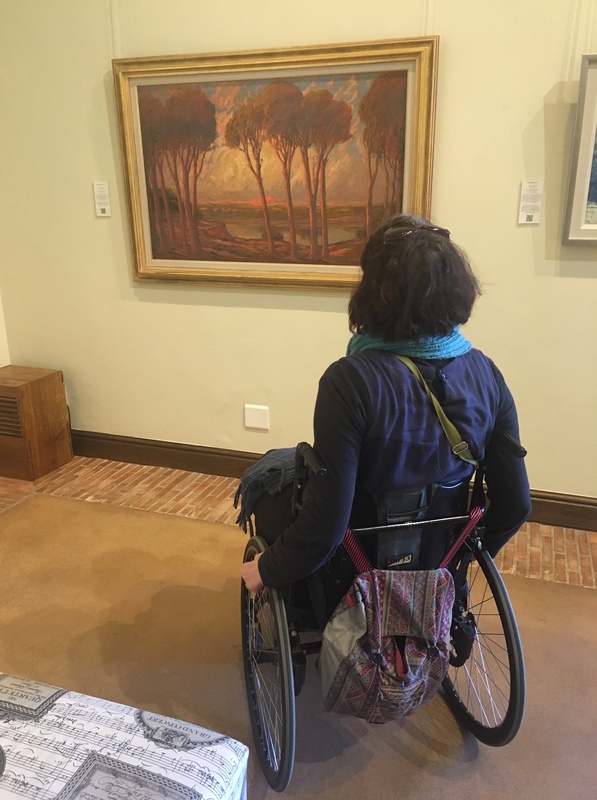 After paying homage to Pierneef in the adjacent gallery space of the museum, we headed to Pierneef à La Motte – with many of his prints on the wall – for lunch. It’s warm and cosy, with a hearty fire inside and huge windows framing the oak-shaded lawns. Perfect for a winter’s day lunch. Luckily art gallerying makes you hungry. The food was amazing. They do 2- or 3-course lunches with/without wine-pairing. Chef Eric Bulpitt and his staff outdo themselves with a seasonal menu from which to choose. It’s very, very difficult to choose because the menu reads like a culinary dream. My advice – go with four people so you can have one of each, and taste everything! I opted for the roasted wood pigeon with braised endive, wild mustard and Langkloof truffles jus, accompanied by the La Motte Millenium red. Then I had the line fish with black-as-ink (very apt, considering our printmaking viewings) baby potatoes in squid sauce with a beautifully light Chardonnay (I’m not usually a fan of Chardonnay but this was yummy) and then pecan nut pie with ginger custard and nutmeg ice cream. GM uncharacteristically had the vegetarian starter – vegetarians are well looked after here – of slow roasted carrot with black garlic and carrot juice followed by perfectly sticky pork loin served with divine fire-roasted cabbage (I think cabbage is one of the most under-rated veggies!) and mustard greens. She ended with a perfect cheese board. All, without exception, was beautifully arranged and utterly delicious, as were the wines. So much so I had to buy a bottle of the Millenium to take home. 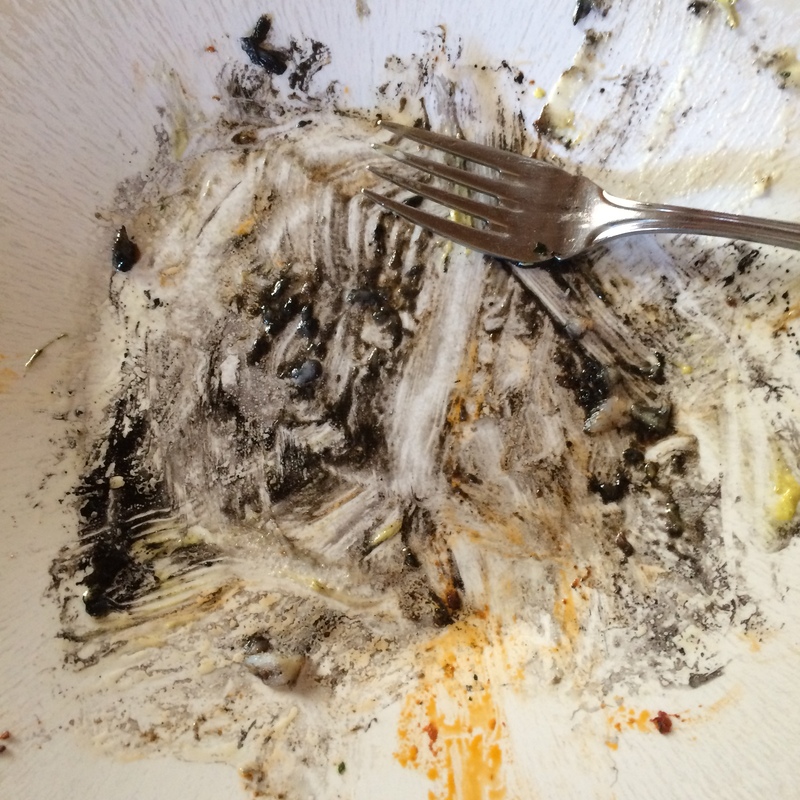 I would’ve taken food home, too, if it hadn’t been so delicious that I gobbled it all up. La Motte is also the poster child for accessibility: sloped pathways from parking into the courtyard and restaurant, down to the museum and up across the bridge to the wine-tasting cellar, accessible toilets (with high enough basins, low enough mirrors, handled taps, grab bars etc.). It’s absolutely brilliant. Added to that, the wonderful staff at the restaurant didn’t bat an eyelid when I asked for something to make the table a little higher (I’m almost 6-foot so, even sitting, my knees are high). They got coasters to raise the table and I was sitting comfortably within minutes. What an absolute delight. Monday morning. We all know him and are very aware that he can be a rather serious, sometimes grumpy, young fellow, despite his spiffy-looking, newly-laundered Monday outfit. He can be tricksy, a little snappy and a bit anxious. Kinda like he might be hangry but maybe I’m projecting. This Monday, however, arrived holding a hamper of chocolate goodies, kind favour of the lovely people at Fair Cape Dairies. Hangry, be gone. I can now confidently say that the way to tame even the most tricksy Monday is to feed him chocolate mousse for breakfast. It’ll turn him into putty in your hands. For those more health conscious, you can toss some berries into the mousse. Strawberries and chocolate have been best friends since chocolate was discovered. I didn’t research that, but I’m pretty sure it’s true. I may or may not have added the berries. I also may or may not have added some Jelly Tots which, to my way of thinking, is like adding fruit salad. Take out message: chocolate mousse for breakfast on a Monday is a total win. 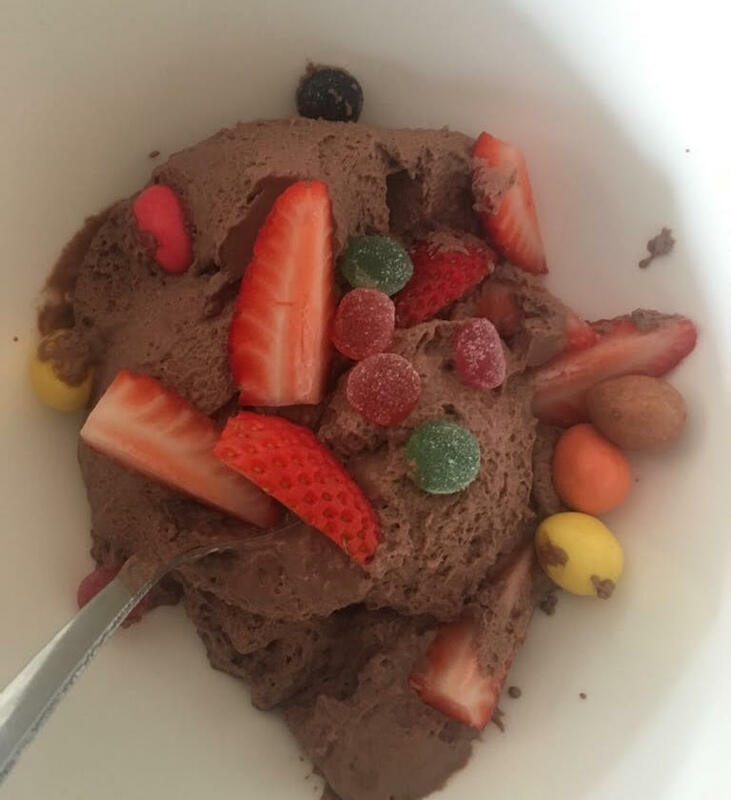 On Tuesday, I decided to submit to convention and have yogurt for breakfast – of the chocolate variety, because chocolate! De. Lish. Us. I tossed some slivers on naartjies over it to top up my vitamin C levels because it’s blooming cold in Cape Town at the moment. Naartjies, like strawberries, are best friends with chocolate. 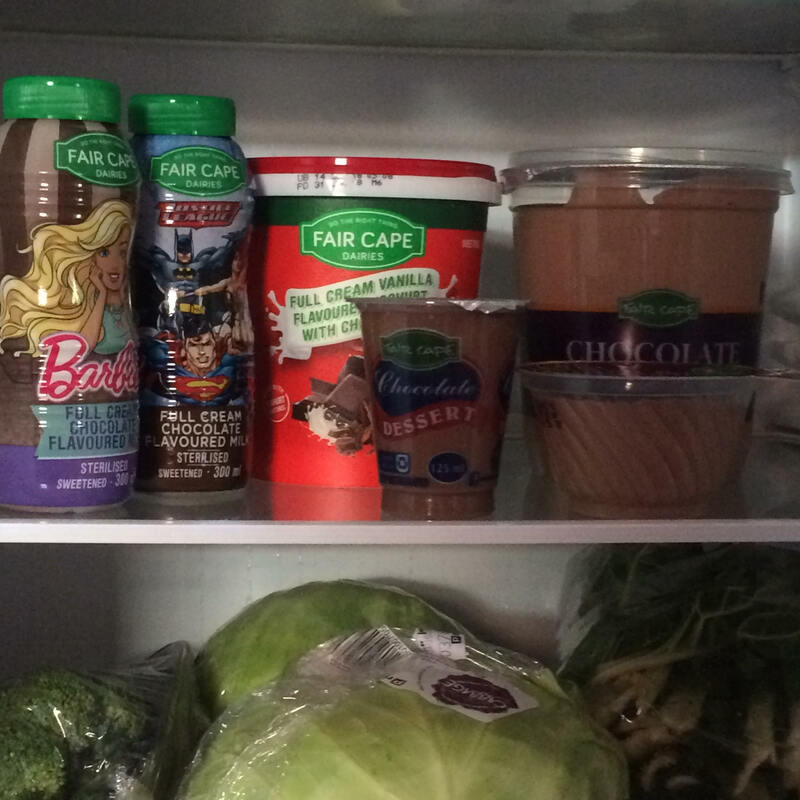 Who makes the best chocolate mousse on the shelf in the photo above? Answers and contact detail in the comments below or answers on the Facebook post. If you were to ask me what my absolute best thing in the world is, I’d say “Cake”. Then I’d think again and say: “No, wait. 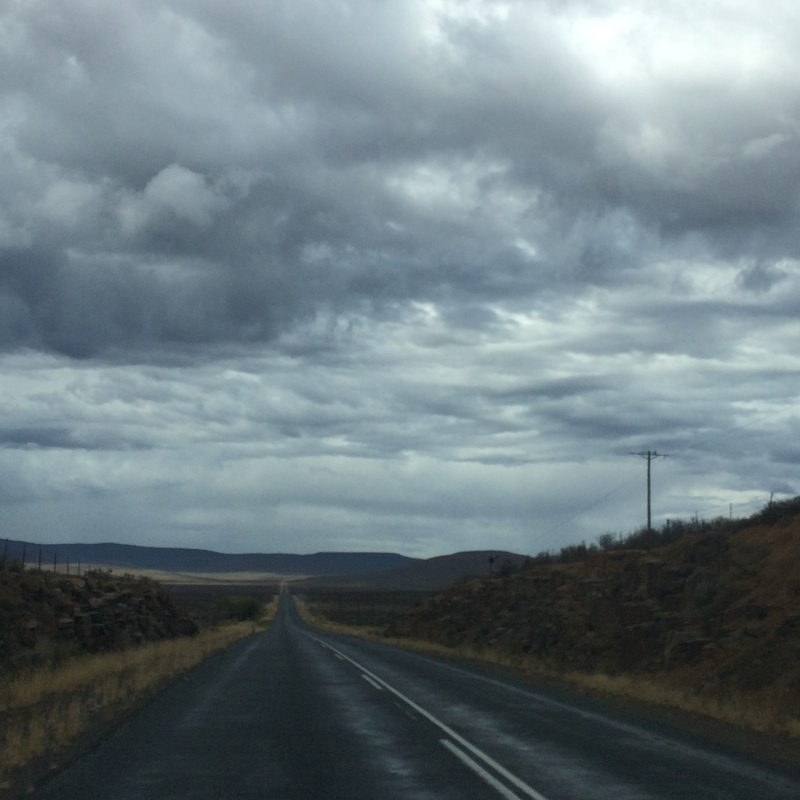 The Karoo, with its vast lovely skies, lungsful of fresh, Karoo-bossie-tinted air, dust roads, miles and miles of nobody interspersed with little pockets of the Nicest People in the …” You would have to stop me, I’m prone to gushing, especially when it comes to the Karoo. “CakeintheKaroo,” I’d answer. On our last trip to the Karoo I totally got all my best things. Or the new word I shall use regularly now. CakeintheKaroo. On Wednesday morning, before heading out of Prince Albert after our way -too-short stay, we popped into Hendry’s Bakery on Market Street (part of the Olive Branch Restaurant, and only open on Wednesday mornings, lucky us) to stock up on padkos – freshly baked Pasteis de nata. My CakeintheKaroo. Heavenly, and the perfect padkos as we headed North. Where the Prince Albert road meets the N1 (the southern most bit of the ‘Cape to Cairo’ road, which always makes me feel like an adventurer when I’m on it), there is a tiny settlement huddled around the railway station called, rather aptly, Prince Albert Road (photos above). It fascinates me. A place of travellers, ghosts of railway men, and the erstwhile home of legendary artist, traveller extraordinaire, activist and philosopher, the late Outa Lappies. I was lucky enough to find him home, fully kitted in his patchwork coat, on one of my trips through this little place and spent a happy half hour chatting to him and buying my very own ‘Eiffel Toring‘ from him. This time, though, we just stopped in to get petrol and check our spare tyre, take a few photos of the old station, and listen to the ghosts rattling chains in the old buildings, before heading toward Merweville. We were the only people on the road. It was bliss. 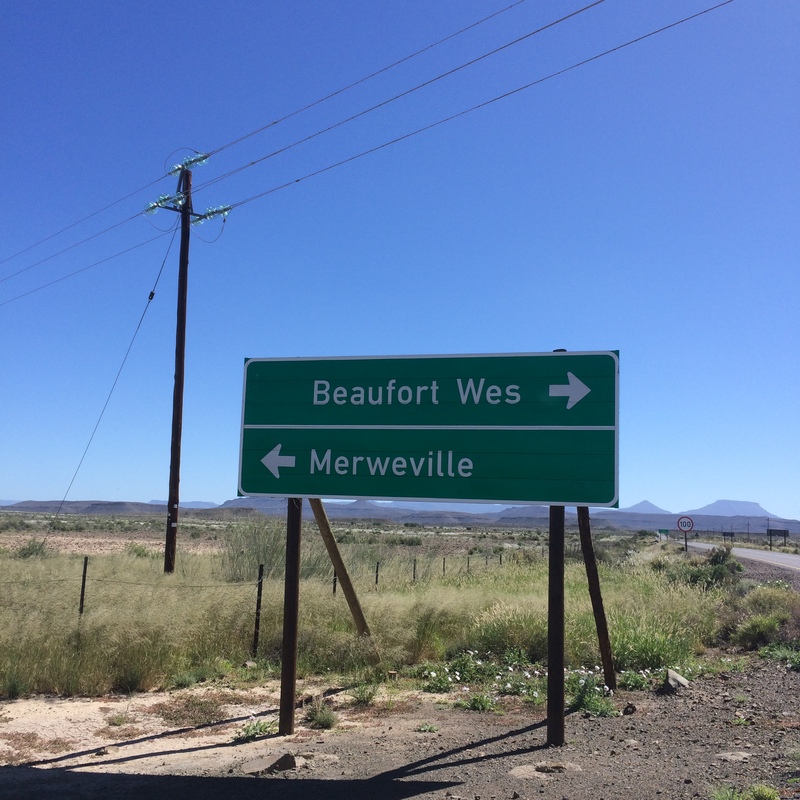 Merweville has one tarred road, a beautiful and almost absurdly large (for the size of the town) grey-with-white trim church and not a soul in sight on a Wednesday at lunchtime. Well, not a soul except for the oom we luckily found to ask about our plan to head over the Rooiberg Pass. We’d had conflicting advice on the suitability of the gravel pass for our little car. ”Are you sure?” I asked, disappointed. Everything I’ve read about that pass had gone on about its spectaculariness (I know, not a word but, my blog, my terminology). ”Wag. Ek sal vir Koos vra. Hy was gister daar deur.” (Wait. I’ll ask Koos. He went through yesterday). He disappeared into the house next to us, emerging five minutes later shaking his head sadly. We did a U-turn and drove around the block, only to be stopped by the old oom’s cries as he rushed through Koos’s dust-and-succulent garden to catch us on the other side. We thought we must have a puncture or something but, no, he just wanted to give us directions – continue on the only road through town, then left – you’ve got to love small town friendliness. The road out of Merweville to join the Fraserburg road is the poster child for Karoo dust roads – long, suitably dusty and perfectly big-skyed and unpeopled. Turning left onto the tarred Fraserburg road, the mesa of the Teekloof Pass – the border between the Western and Northern Cape – beckons in the distance. Once reached, its hairpin bends, with their layered sandstone and mudstone (I’m a geologist’s child), lead up to its top. At 1444 m, the view over the Karoo is breath-taking and could easily be used by the Flat Earth Society as proof. Fraserburg, too, is a typical little Karoo town, the church not quite as spectacular. Having had to go the long way round, we didn’t have time to explore but I have it on good authority is that there is a guy there who is organising interesting walks so I’ll be back. Check in with @gonortherncape on IG if you’re going and they’ll point you in the right direction. The road to Sutherland from Fraserburg is 100 km of dust, interspersed with incredibly fast driving policeman and the occasional farmer in his camouflaged-by-dust bakkie, lifting his finger and nodding is hatted head in acknowledgment as you pass. It too, is beautifully Karoo. As you approach the Sutherland you see the SALT observatory perched on the hill to your right, a round-topped anomaly in this barren land, like some giant’s golf ball atop a tee. So much sciencing going on just here, in the middle of Nowhere, Africa. My scientist heart soars. On arriving in Sutherland we did a little drive around the streets to look for somewhere to stay, coming across beautifully-named Velvet Olive, next to a pub called The Jupiter. It was too much to resist so we called the number on the board and got through to the loveliest woman who came and met us and let us into the house to stay for the night. An owl sat in the tree outside watching us unpack. As it should be. The house, which must be one of the original houses of Sutherland, is filled to the brim with Granny’s old furniture, the wooden floors creaking under the weight. It is beautiful and cosy and in one bathroom there is a clock. It’s good to know the time when you’re abluting. On the walls, family portraits hang, I’m sure of the people that were born in that house, and died there. I was hoping for a ghost, but there was none. 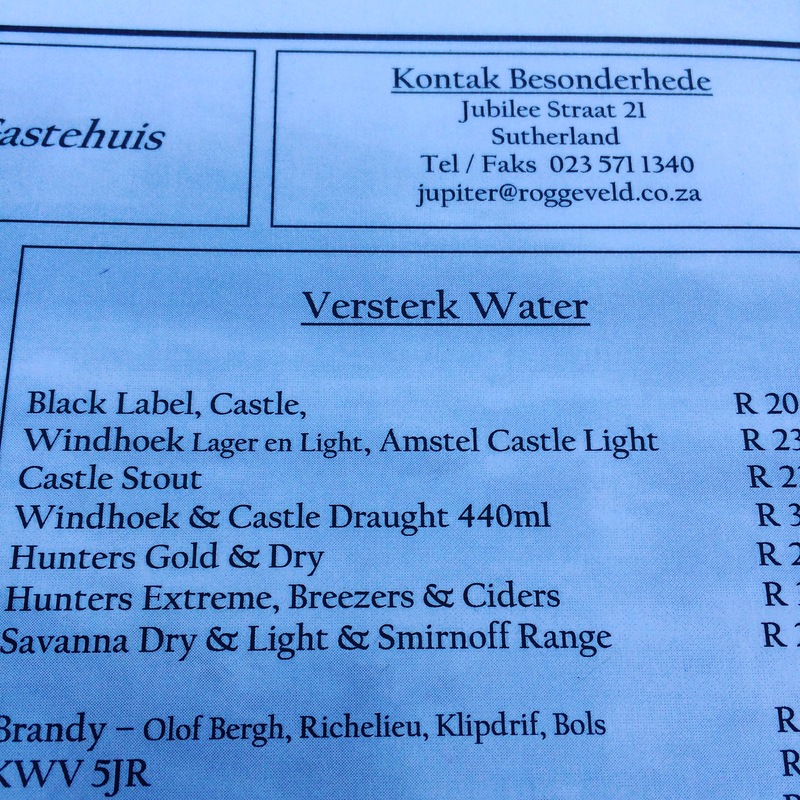 Dinner at The Jupiter was everything small town hospitality can be: a group of local farmers drinking brandy and Coke in one corner, their barefoot-and-happy children running riot in the garden, the menu with ‘Versterk Water‘ (strengthened water) and a lamb pie the equivalent of which I’ve never tasted. Sublime. An after dinner amble through the dark streets of town rewarded us with an expanse of stars, the Milky Way smudging away to itself. Magical. Next time we’ll visit the observatory and see ’em close up. 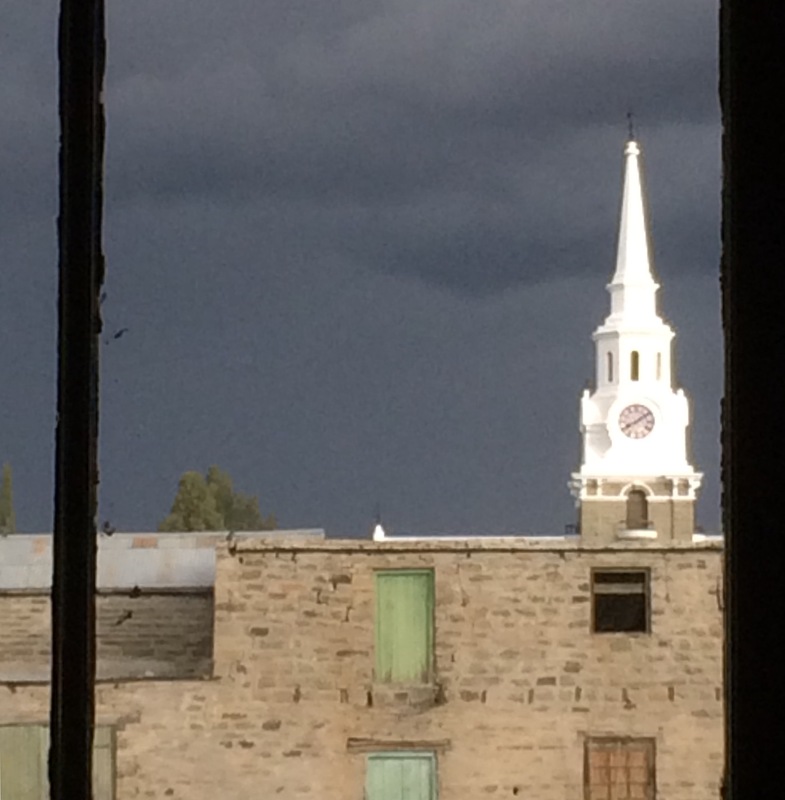 On waking – after a great night’s sleep undisturbed by any ghosts, sigh – we opened the curtains to see huge grey thunderclouds clouds gathering ominously behind the church spire across the road. We hurried down the road, hoping to pop in at the Louw Museum before heading off, only to realise you need to make an appointment (if you’re going to Sutherland, plan ahead … it looks like a sweet little museum). As we left town huge rain drops began to fall, turning dust to mud and creating that smell – petrichor – that makes my heart squelch with happiness. This trip reinforced my thinking of the Northern Cape as one of South Africa’s best provinces. Our trip in 2016 through the more northern bits, and this one in the more southern bits, and I’ve only seen a smidgeon. I long to explore more. There’s not too much to mention on accessibility on this part of the trip, mostly because a lot of the time was spent in the car. There’s something South African tourism could take a look at, though – accessible transport/rental car places that are disabled-friendly. I’ve only ever used Europcar and they’ve been mostly great, with a little forward-planning. I stray, though. We were in my car, which is perfectly fine for me, but not for muddy roads, sadly. Merweville’s General Dealer has a ramp into it, but it’s closed on a Wednesday at lunchtime. 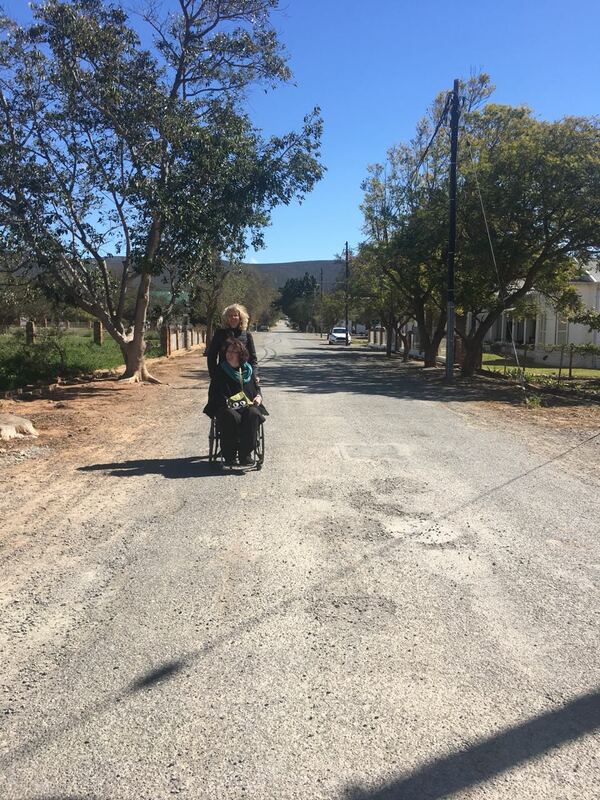 We could all learn from Small Town, Karoo, where people still go home for lunch and a little nap. Sutherland is a flat little town with mostly dust roads, so completely fine for pushing around, as long as you don’t mind dust (or, in my case, if you love dust). The Velvet Olive is big, so plenty of space. One little step in, and a large but not truly universally-accessible bathroom. Totally do-able and the lady who runs it is extraordinarily helpful. The Jupiter Restaurant has a ramp into it. Go. Have the lamb pie. I wish I’d brought a whole bunch home. I just watched Lady Bird. What a treat of a film, a little throwback, a reminder of all of those vaguely awkward stages of growing up, a gorgeous, rich tapestry of friendship and love. In one of my best scenes, Lady Bird dumps her sort-of boyfriend and goes to Prom with her best friend, Julie, instead. There’s a fantastic scene of them dancing (it also includes a favourite Dave Mathews song, Crash into Me) that sent me flying back 25 years, to Grahamstown, 1993, my first year at university. I turned 18 that year. Those ‘varsity year’s were a blissful whirl of youth, senses heightened by our newly-gained freedom in that tiny town that was our kingdom, our playground. It was a wild love affair that went on for four years. We were invincible. 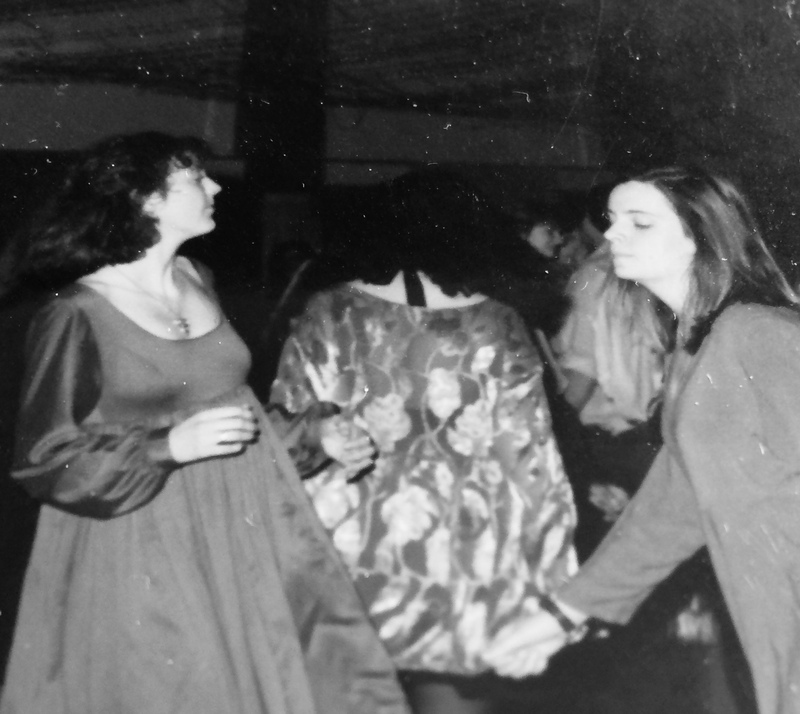 My best friend, Katherine, and I made it our aim to attend as many balls as we could that first year, before we moved into digs in second year. And by attend, I mean gatecrash. We had no money for tickets (and no serious boyfriends for partners, yet). We did it for a while, heading off to the Great Hall, up to the Monument, or down High Street to the Crillion on Fridays and Saturdays , before meeting up with our friends at The Vic later, fed (res food was bland in comparison to ball food) and flushed from dancing and the exhilaration of getting away with it. I still wonder if the people developing the photos ever wondered how we managed to get invited to so many balls, including one of the local school’s Matric Dances which, as I remember, had the best food of the lot. For that one, we hid our photos on the shelves of the shop the next week, convinced we’d get caught by beady-eyed teachers.